We understand that every household is different so that is why each of CSA members are given the opportunity to personalize their CSA boxes based on what is available that week. If you simply do not want radishes or maybe have an upcoming event you are planning and want several bunches of carrots, we can meet and exceed your expectation. Seminary Hill Farm is proud to partner with local chicken, beef, lamb and pork producers within the region of Central Ohio and offer a Protein Share to our CSA members to add on to their CSA share. The Protein Share is distributed bi-weekly and is available in full and half protein share size. For more information about the Protein Share and the farms we work with, please click here. In addition to your CSA share, you can also choose to add the egg share or the bread share to your weekly subscription. If you select the egg share, you will receive a dozen pasture-raised eggs that are from the chickens at Seminary Hill Farm. If you select the bread share, you will receive freshly baked, artisan bread created by the professional baker at Seminary Hill Farm Kitchen, Sarah Black. For more details about what our bread share offers, please click here. Both of these items are of high-quality and will complete your experience with our CSA program. At sign up, you will have the option to pay in full or subscribe to weekly payments. Select the choice that works best for you and get ready to celebrate fresh, local food every week of the season. The team at Seminary Hill Farm understands that life is not always routine and we want our CSA program to accommodate your busy schedule, Whether you have a vacation planned or simply have too many activities planned that week, you can easily place your CSA subscription on hold or change your pick up locations to make CSA distribution more convenient. 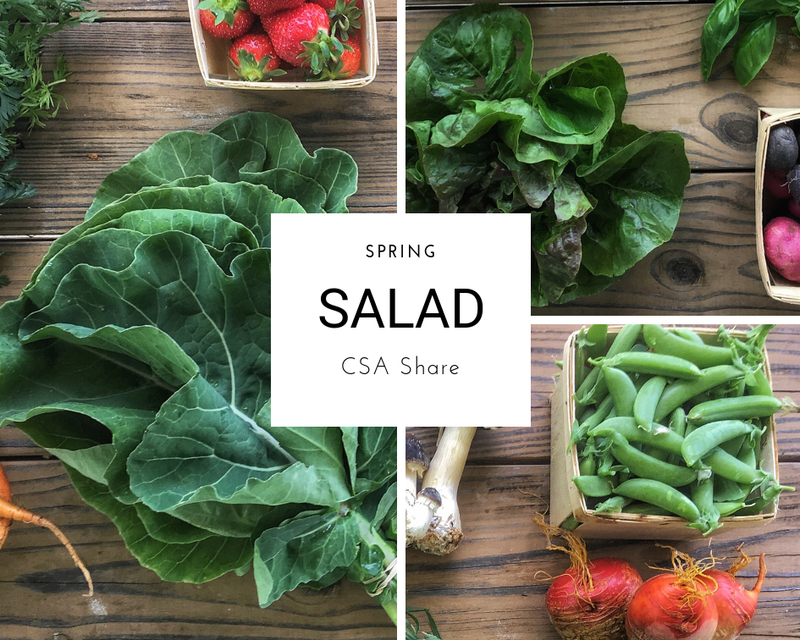 Each week of the CSA season, you will have access to recipe suggestions, cooking tips, storage, and food prep resources for each of the items in your CSA share. Our CSA program’s goal is to create a service that is both usable and convenient. Our team is excited about each of the varieties we have planned this year and cannot wait to see how our members celebrate each of their unique flavors. The spring season in Columbus, Ohio introduces slowly warming temperatures and a welcomed break from the dreary days of winter. The ground begins to thaw and our menus begin to shift away from storage root vegetables and towards heartier varieties, such as beets and spinach that can thrive in the warming temperatures. The Spring CSA subscription is able to begin as early as May because we utilize a combination of season extension techniques and understand how to cultivate a fresh, quality product despite the hard to predict temperatures. 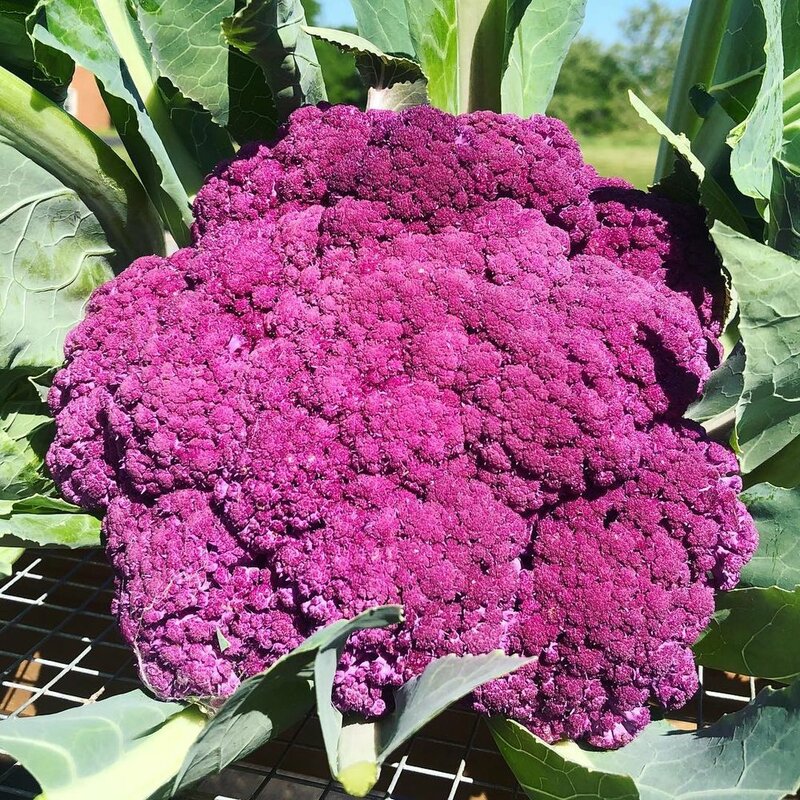 Scroll through and see some of the varieties we were able to offer last season. 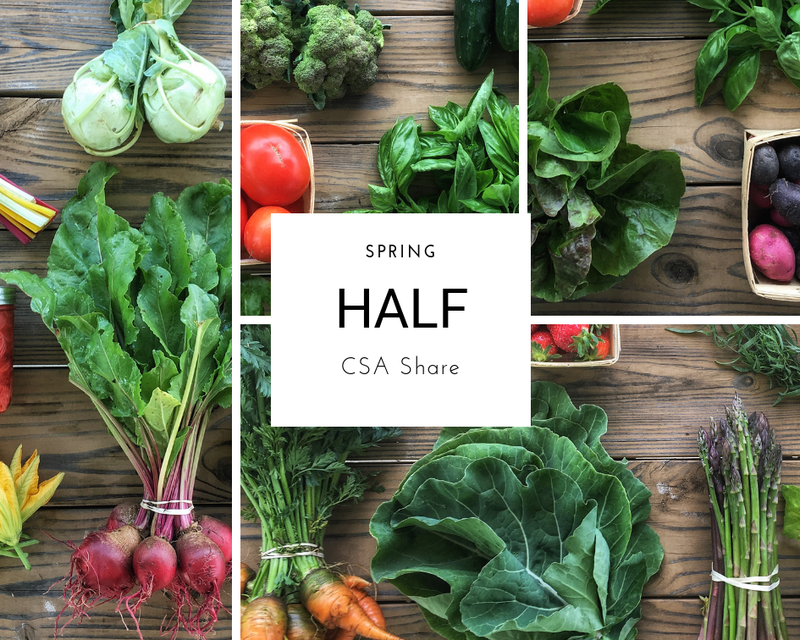 There are three different CSA share sizes to choose from during the Spring season. We offer many different pick up locations and distribution times throughout the metro area of Columbus, Ohio. For the complete details of all our current CSA pickup locations for the Spring season, please click the button below.